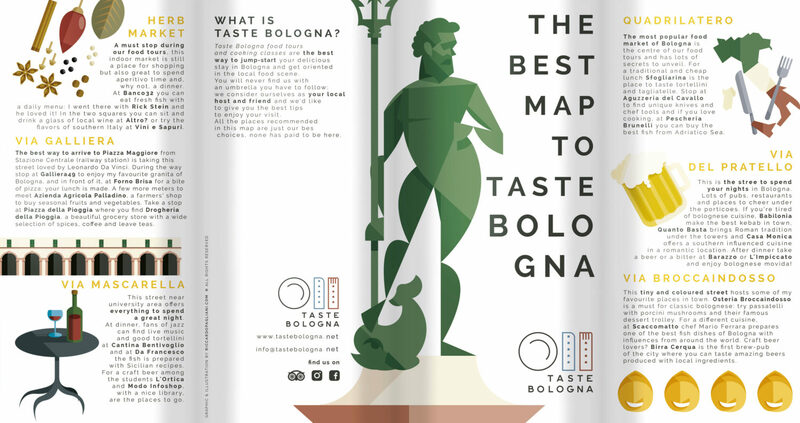 TASTE BOLOGNA is a tour operator that you can book online, the traveler that choose this service will be totally surrounded by the bolognese reality, knowing the most tipical food places, meet tipical foods and people of this wonderful city. Andrea, the owner and a friend of mine, asked me to design his brand after several unhappy attempts, that’s what I did. I decided to start from tipical symbols of Bologna: the two towers, worldwide known. I melt those two vertical shape with classical dishes, a fork, a knife and a plate. 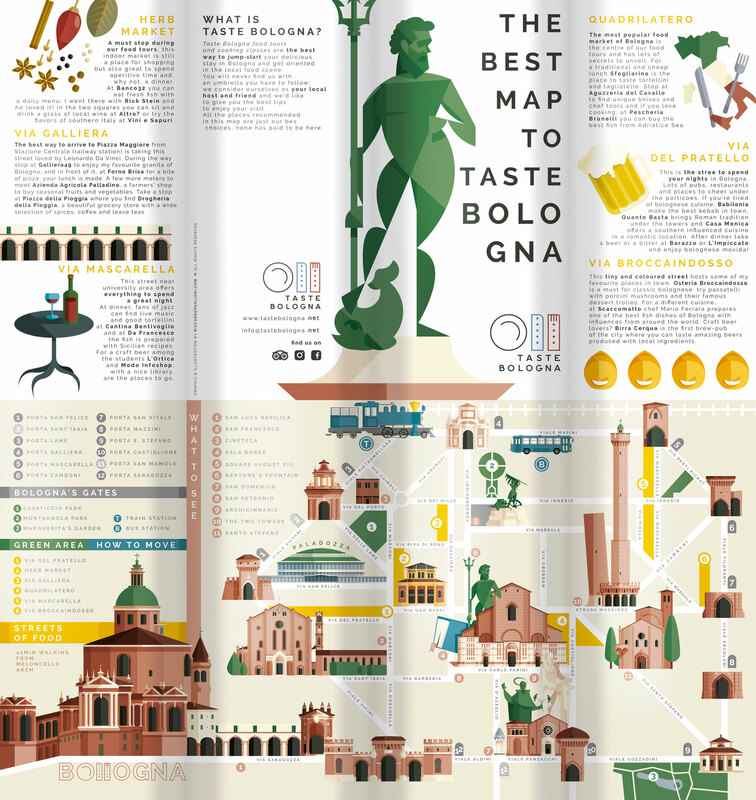 What I obtained was something already seen but at the same time new, young and classic at the same time, perfect to comunicate the concept of Taste Bologna: let people know tipical food with resident people. Starting from the Font body thickness i made all the rest. I used it as measure unit for taking perfect proportions between all the other elements. But the most important thing is the position of the plate compared to the dishes. The plate is in that position because Galateo says the dishes have to be on the right of the plate! And indeed the design is more balanced. The font was a Gotham Medium in the beginning. I worked on it to make it more straight, a typographic and iconic text, similar to the first half of twentieth century’s italian banners. Three way to use the brand: positive, negative and total white. It always depend from the background color. the font we will use combinated with the brand will be Raleway, a Google® Font open source perfect for web application and well fitted with the brand. I decided that the perfect way to use it in this case is taking great space between letters, making it wider. Then Andrea asked me about a kind of gift to release to all his costumers, but actually he already had the idea since from the beginning. He wanted to make a map, we saw something made from another tour operator in southern italy and we decided to make something similar. Then I got crazy, and I decided to make something that Bologna have never seen before. I started make the map trying to take care of all the street, but the more I worked on it the more I understood that was too complicated too busy, too innacurate. 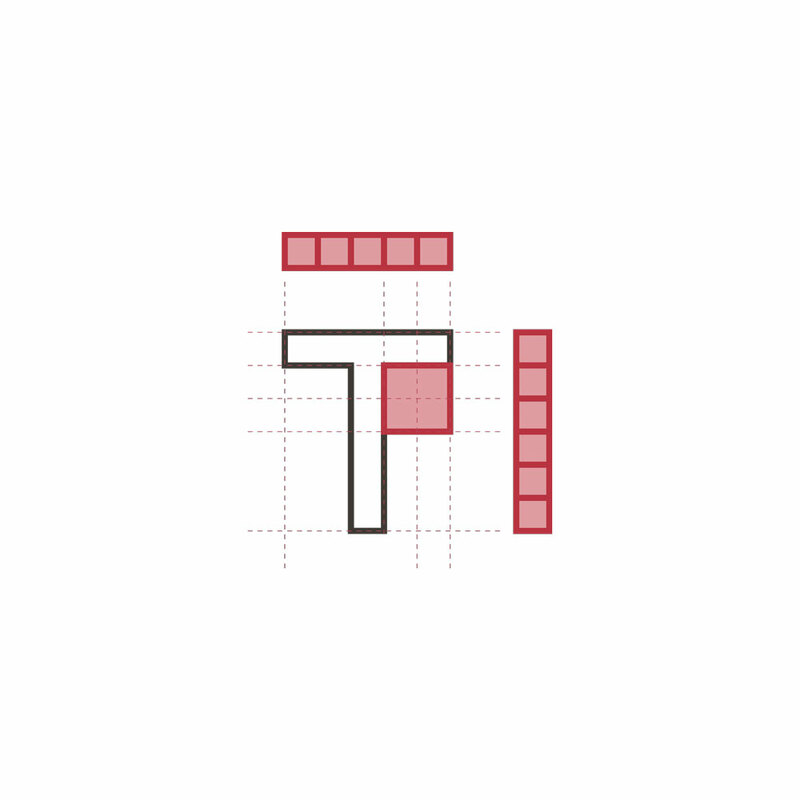 Then Andrea suggested me to synthesize everything in very simple shapes, taking just vertical, horizontal and 45° streets (like subway) and using just the street we need. I defined a thicknes standard for the streets, creating a balanced wire of Bologna City Center. 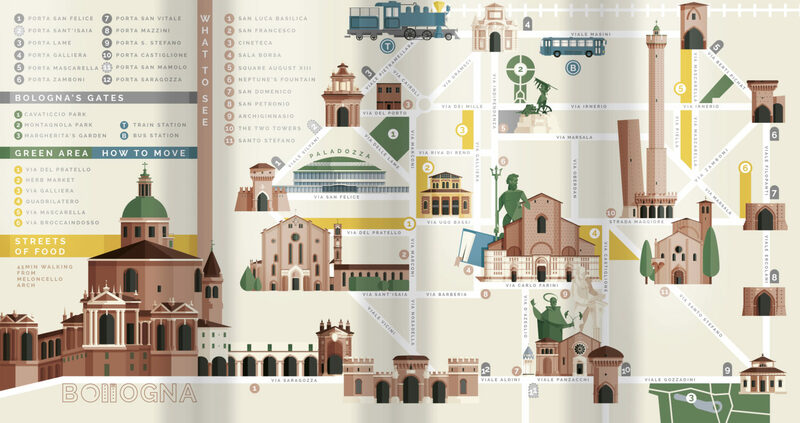 Then I undertood that was too easy, the objective of the map was to surprise the costumer and let him feel Bologna as a very smart city to walk, where you can find marvellous monument everywhere. 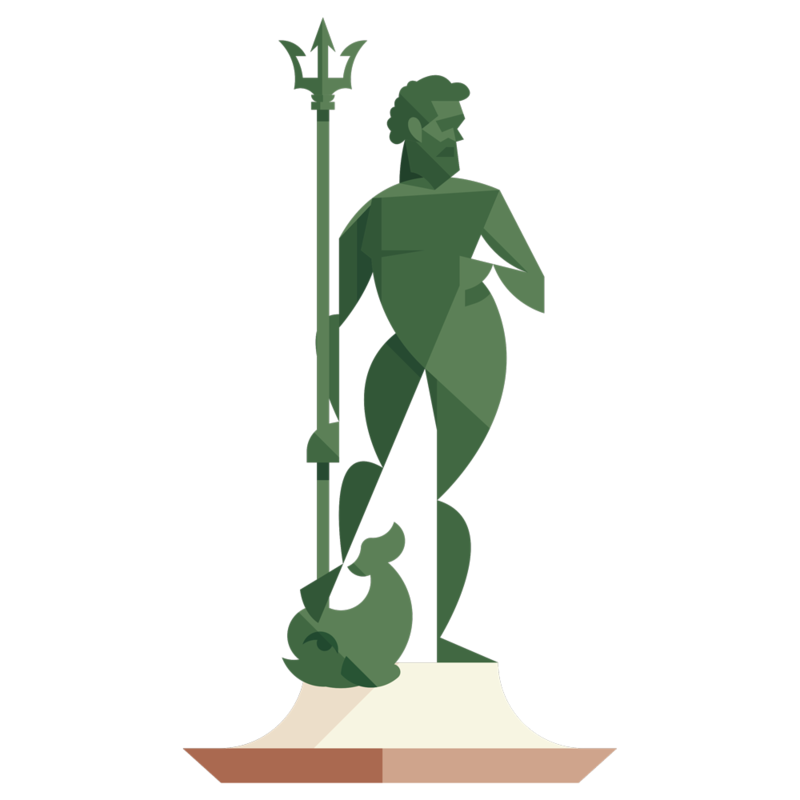 So I started to make all the gates, than the churches, the statues, the square…I used my style and looking everything at the end of the work made me feel proud of what I did. I spent lot of time on this illustration, but I’m pretty sure that It was worth It.